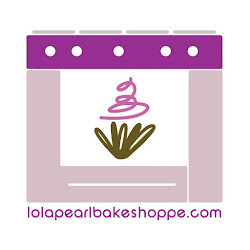 Lola Pearl Bake Shoppe: Happy Mother's Day! A beautiful mother deserves beautiful cupcakes! Spotlight On: Oreo + Peanut Butter Cupcakes! DIY: A Cupcake Bouquet for Mother's Day! Spotlight On: Amaretto Latte cupcakes!